At the end of 2016’s Fantastic Beasts and Where to Find Them, audiences were shocked when Johnny Depp made an unannounced cameo as notorious dark wizard Gellert Grindelwald. Fans of the Harry Potter series of films only knew of Grindelwald as the greatest dark wizard before the rise of Lord Voldemort, but many were unaware of what his message was or how he came to power. Thus, when a sequel film was announced, anticipation was high on how that particular story would be explored by author J.K. Rowling, director David Yates, and Warner Bros. Pictures. The second in what has been projected as a series of five films, Fantastic Beasts 2: The Crimes of Grindelwald, picks up a few months after the conclusion of 2016’s Fantastic Beasts and Where to Find Them. The followers of Grindelwald (Johnny Depp) masterfully engineer his escape from the Magical Congress of the United States of America (MACUSA) and he begins to gather his forces. Grindelwald apparently has some hidden agenda surrounding Credence Barebone (Ezra Miller), the man who is desperately trying to find out who his family truly is. Meanwhile, Albus Dumbledore (Jude Law) has tasked Newt Scamander (Eddie Redmayne) to find Grindelwald and bring him to justice because Dumbledore himself cannot act against him. Newt’s moves are being followed by the British Ministry of Magic, including his Auror brother Theseus (Callum Turner). Theseus is engaged to Newt’s old flame Leta Lestrange (Zoe Kravitz) and both are working at the Ministry and trying to find Grindelwald. When Queenie Goldstein (Alison Sudol) and Jacob Kowalski (Dan Fogler) appear at Newt’s home, Newt asks about Queenie’s sister Tina (Katherine Waterston) who he still has feelings for. Events occur to bring these divergent forces together even as Queenie’s love for Jacob leaves her entranced by Grindelwald’s message about magical superiority even as the mystery of Credence’s true lineage underscores his value in the coming conflict. Now directing his sixth Potterverse film, David Yates clearly knows what he’s doing behind the lens in these films. Returning to the early 20th century but moving the action back to the UK and some parts of Paris allows the filmmaker to explore other corners of the wizarding world of that era. As expected, Depp easily wrapped himself in Grindelwald’s skin and seamlessly entered another huge movie franchise. The same can be said for Law, who ably took on the challenge of playing a Dumbledore in his prime after Richard Harris and Michael Gambon and before his beard turned silver and grew long. The exploration into the Dumbledore-Grindelwald relationship is decidedly different from the previous conflict between Harry Potter and Voldemort, which leaves one wondering how everything will eventually come to a head in the next chapters. The return of Redmayne, Waterston, Fogler, and Sudol to these characters is of course, delightful. Perhaps the best thing about it though is that their relationships don’t follow the hackneyed “happily ever after” path and there is real dissension among their ranks. Queenie’s love for Jacob and the desire to pursue it even if it is forbidden for a wizard and muggle to be together is so sincere that her decision at the end of the motion picture seemed almost a given. Newt and Tina have also grown apart since the first movie and even though they still have affection for one another, their reconciliation is not guaranteed. Seeing the niffler and Pickett the Bowtruckle return is also appreciated because this movie is “Fantastic Beasts” after all. But finally seeing a kelpie and having the Chinese lion-like dragon play a prominent role were personal favorites coming out of the cinema. There are other creatures here, but Newt’s affinity for the small ones, the ones that might otherwise be overlooked, gives some valuable insight into his own character and why he is a hero. 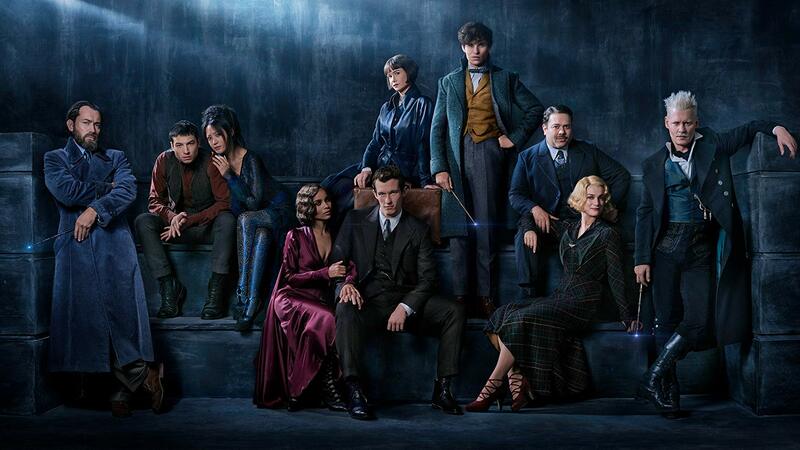 In my view, Zoe Kravitz as Leta Lestrange is probably the breakout star of Fantastic Beasts 2. Although she has been in several pictures since 2011’s X-Men: First Class, I believe this is the most screen time she’s been given any substantial screen time in the past seven years. It’s a given that she’s pretty given her own real-life parents, but she really gets to act in this role as her scandalous past and tormented present begins to unravel around her. Perhaps the one clear weakness of note in this film is that several plots and subplots are happening simultaneously, and it can get a bit confusing in trying to weave through them while also recalling the events of the last movie. Watching the action in IMAX is great of course, but some of that same action is a bit difficult to catch in 3D.